I better write this now since I’m going on a ramen run later tonight with Tanya!!! The blog laziness has returned…. I had ramen with my cousin Michelle a few nights ago. We were considering going to Kotoya, but realized that I’ve gone there far too many times and wanted to try something different. Michelle had been craving Tsujita LA’s tsukemen but since it was evening time, we went to Tsujita Annex across the street. 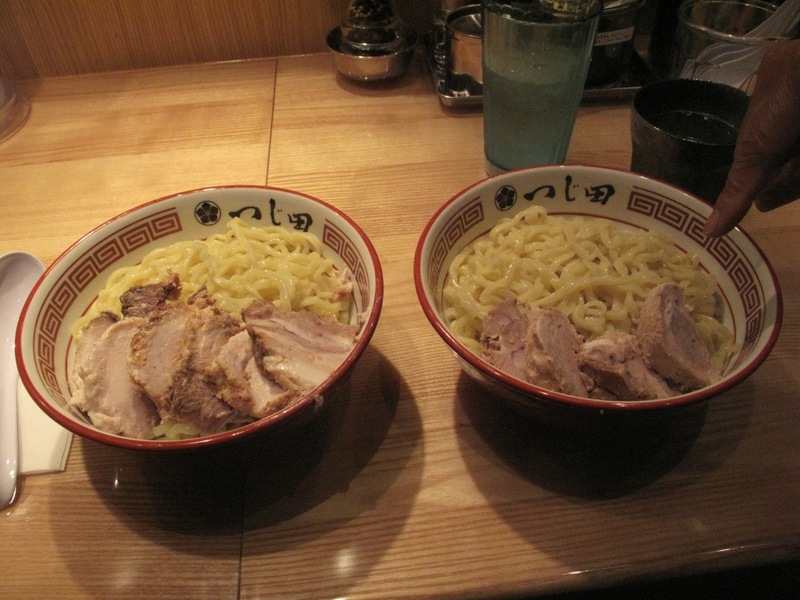 We both ordered the regular size Tsukemen with Char siu. 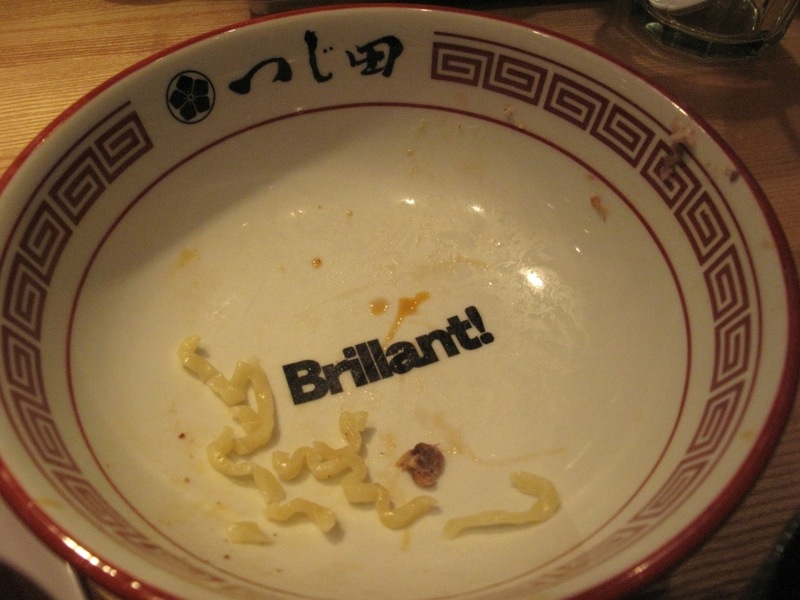 The bowl was pleased that I finished my noodles! That tsukemen really hit the spot! Everything about it was great! I liked the thick, curly noodles and the heavy broth had an amazing flavor. It had onikasu (red spice) on top which gave the broth just enough of a kick. The egg was perfectly cooked and the char siu was tender. I still can’t say they have the best char siu I’ve had but theirs was pretty good. 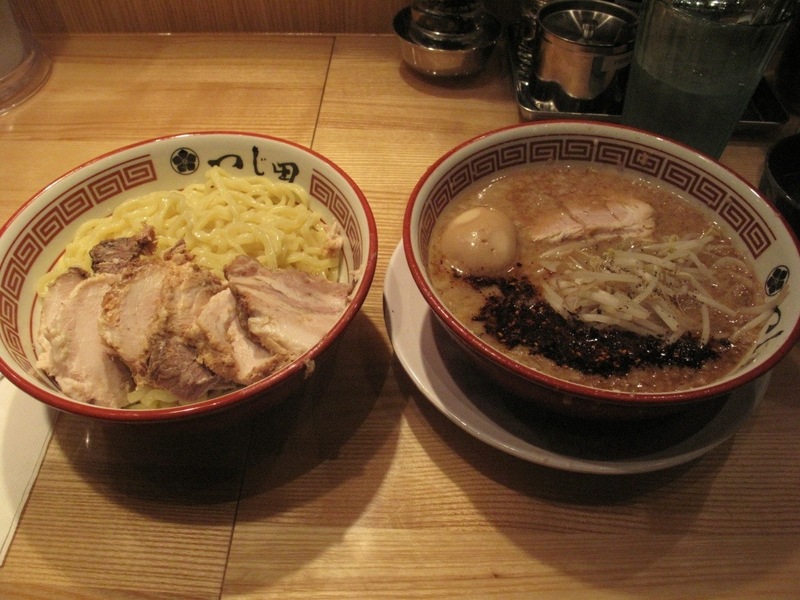 I would totally eat their tsukemen again. Michelle loved the broth so much she took her leftovers to-go. The wait was not as long that night, maybe 30-45 minutes, and our server was very nice. She remembered us from the last time because she asked if we were there with Mark. I thought that was funny, she was probably checking him out! Why else would she remember my brother, Mark, specifically? Remember, this place is cash only! This entry was posted in Foodie, Los Angeles, Ramen, Ramen Run, Restaurant Review, Tsukemen and tagged Broth, Char siu, Los Angeles, Ramen. Bookmark the permalink.